Harley gets her first job at the Coney Island Roller Derby! Dressed in her iconic signature colors, Harley is ready to take out the competition. 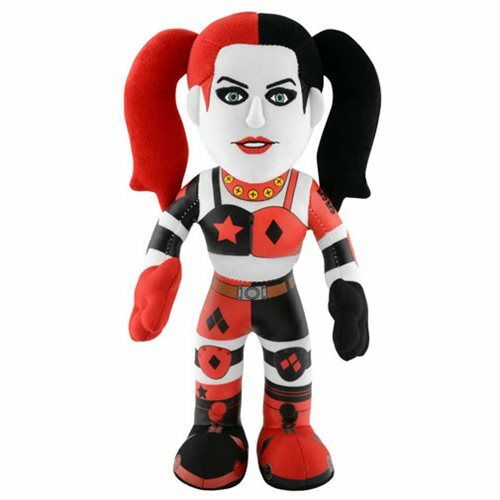 Add this Batman Roller Derby Harley Quinn 10-Inch Plush Figure for your Harley Quinn collection today! Ages 13 and up.